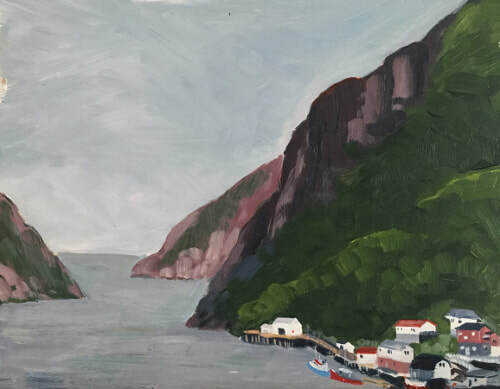 Francois (pronounced Fransway by the 43 residents) is a Newfoundland coastal outport and it is surrounded by either massive cliffs or water. It is a four hour boat ride from Burgeo which is the nearest port accessible by car. It is one of the most incredible places we have ever visited and it was a painters paradise. Most of the coastal outports have been relocated and we would love to get back here before this one is gone too.